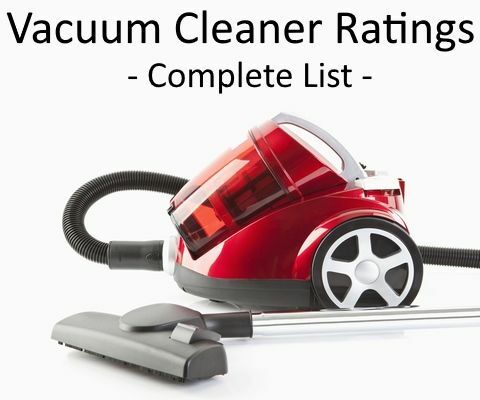 The following Vacuum Cleaner Ratings are derived from all our major vacuum cleaner reviews, their sources and their weighted average consumer ratings. What is a weighted average rating? This simply means that if one source had more (or less) ratings than another we take this into account when we do the calculation, thereby giving equal value to each and every consumer rating. The ratings below act as a general guideline with respect to consumer satisfaction for the given machine. The closer the score to 100 the higher rated by consumers. We continue to add more vacuum ratings to this table as we do reviews. We ensure that figures are available for all vacuums on the site. Please note that ratings can change over time as more consumer input becomes available (if there is a ratings update it is noted in the review itself). We have also made every effort to find a respectable sample size where possible.